If anything captures the state of modern football it has to be the drawn-out Raheem Sterling saga, which has highlighted the apparent lack of real power among some Premier League football clubs in hanging onto talent. The power in English football sits with the overpaid and over-hyped players and the figures on the periphery of the game. 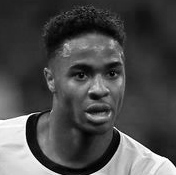 The Sterling story is a sad one, because while it makes the largely unproven 20 year-old one of the most expensive players on the planet, it also demonstrates the lack of loyalty and scruples of the young men who are squeezing the game for every penny. Sterling’s market price may be astronomical, but his stock has certainly fallen. No matter how you look at it, this contrived and self-serving sequence of events has only damaged the reputation of the player himself. Sterling is, potentially, an excellent footballer. But he is still far from the finished article and he’s just come off the back of a relatively disappointing season. His value is enhanced by the fact that there are so few English players to match him. He’s the best of a mediocre bunch, but he could become an international class player. But where the damage has been done is in the lad’s ill-advised approach to his move from Liverpool, the club that has stood by him in his younger, and sometimes troubled, years. This is not a straight-forward individual, after all. He was seven years old when he arrived in England from Jamaica with his mother. He was “statemented” by social services and had anger management issues. He was a teenage father and his own absent father was murdered in Jamaica when Sterling was just seven. In 2013, he was arrested for an alleged common assault on his former girlfriend and a few months earlier, he was charged with a common assault on another woman. The latter was dropped just as the trial was about to begin and two witnesses failed to appear. In April this year, Sterling was alleged to have partaken in the inhalation of nitrous oxide for recreational purposes. Sterling, who claims to be a Christian, was only going to be signed by what I call a “greedy guts” club – Manchester City are one of them. By that I mean a club that is so desperate to establish itself in the upper quartile of European football that it will pay anything to grab top players from under the nose of others. Regardless of whether or not Sterling will get splinters next season from sitting on the well-populated City bench, he can be assured he will get plenty of that filthy lucre that had absolutely no influence in him [apparently] agitating for a move across Lancashire. Can we blame Sterling for getting the best possible deal? Isn’t it human nature and just so reflective of the time we live in? The whole sorry story demonstrates a number of things about today’s professionals: kissing badges means nothing, it’s superficial and disingenuous, players’ loyalty to a club is only as good as the next 100k pay rise; agents and their “bovine approach” (nice touch Michael Calvin) are a disruptive influence; Liverpool cannot hold on to top players anymore, Sterling follows Torres and Suarez, which makes the bank manager smile, but continues to erode the club’s power; and as individuals, regardless of photos with social responsibility projects and academy kids, many players have little in the way of a moral compass. Will being at City improve Sterling as a player? He will have to fight for his place, for a start. But what could really scuttle his progress is a change of management. Manuel Pellegrini is not exactly “dead man walking”, but he was expected to be the summer’s big casualty (that fate was also expected of Sterling’s old boss). If Pellegrini’s team doesn’t live up to expectations that will be even higher this season, you can expect City to be casting envious eyes across the Channel to Germany and the designer stubble of one Pep Guardiola. That could change the landscape for Sterling and a number of his team-mates. And this episode will undoubtedly make future employers more than a little wary of the one-time Kop favourite. “Sterling Watch” will become a popular sport in 2015-16.